Stay in one of the most beautiful locations! Our cottages are bounded by dunes, Forest, polder. Right in front of the forest begins a beautiful forest and dune area of five kilometers wide, which is a nature reserve and only accessible for hikers and cyclists. Our rural apartments are furnished for two people, the bedroom on the upper floor looks out through the open loft in the living room which is modern and cosy. The bathroom is on the ground floor, equipped with washbasin, massage shower and toilet. The kitchen is equipped with all the comforts of this time, including a microwave/oven, fridge/freezer and a dishwasher. The open kitchen is adjacent to the living room, with French doors to your private terrace where you can enjoy the privacy of the surroundings and the sun. For your car we have ample parking facilities. The price of the apartments includes bed linen, towels, tourist tax, gas, water and light. Of course you can have lunch and/or dinner in our restaurant. 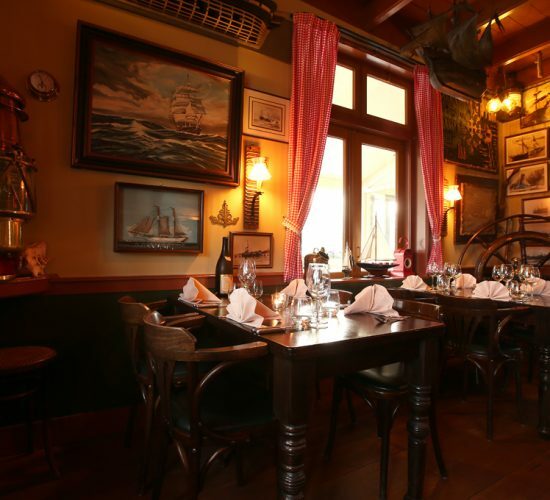 We serve you delicious dishes and beautiful wines in a maritime ambience. Please note that it may be necessary to make a reservation. Our surroundings lend themselves beautifully to walking with your dog, or to make Dune and beach rides with your horse. This possibility is there, please consult.